Essex all-rounder Graham Napier has signed a new one-year deal at the county, keeping him at Chelmsford until the end of next season. 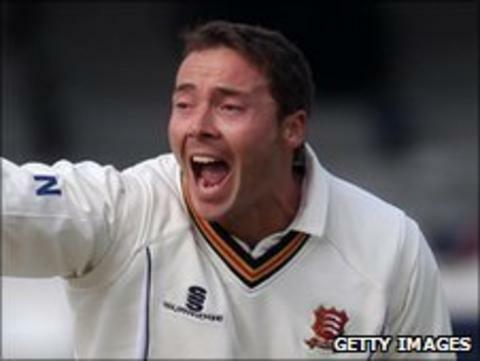 The 31-year-old, currently out with a hamstring injury, made his Essex debut 14 years ago. He equalled the record for the number of sixes hit in a first-class innings in a match against Surrey in May. "It is great that the club offered me a new contract," he told the club website. Napier spent the majority of the last campaign sidelined by a back problem, but he could recover from his latest setback in time for Friday's FL t20 match against Surrey. He has been in good touch in the County Championship, hitting 216 in four innings, but has managed just 32 runs from the same number of Twenty20 innings. "After such a long lay-off with injury I am hoping to continue the form I had earlier in the season through the next year into 2012," he added.